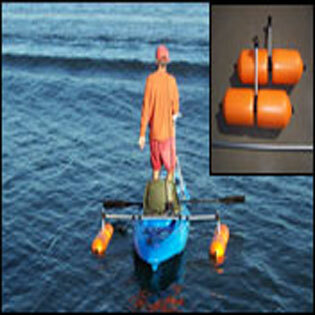 Island Hopper Kayak Motor Mounts slip in all kayaks with flush mount rod holders and custom installed rod holders. Slips easily into rod holders. Deluxe Model less the Ballast Weight. 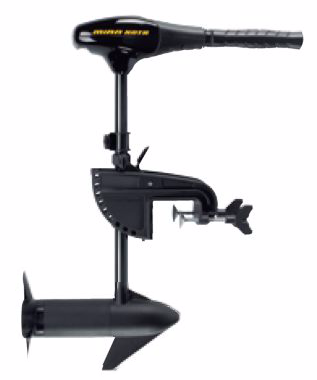 Ballast are sometimes needed, they are and act as a counter-weight to the trolling motor. They provide balancing, so you do not need to shift your weight away from the motors side. Kayak Motor Accessories and install them yourself. 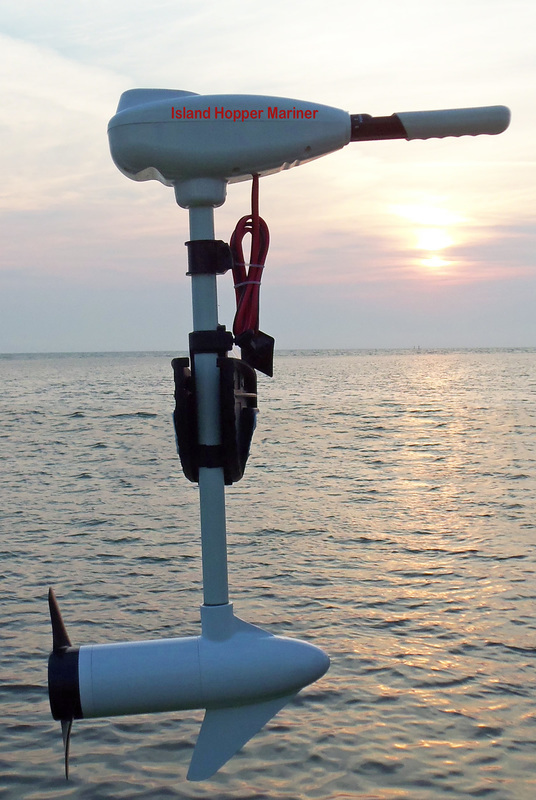 This Kayak Basic Motor Mount will then work for you kayak. Kayak Motor Mounts fit all kayaks. Newer and older model kayaks can easily be retrofited with these kayak mounts, kayaks like: Ocean Kaya, Malibu Kayaks, Lifetime kayaks, Freedom Hawk kayaks, Wilderness Kayaks, Old Town kayaks, Native Watercraft Manta Ray Propel, Perception kayak, and many more. 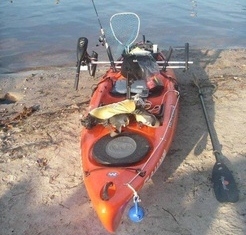 Helps turn your fishing kayak into a motorized yak. 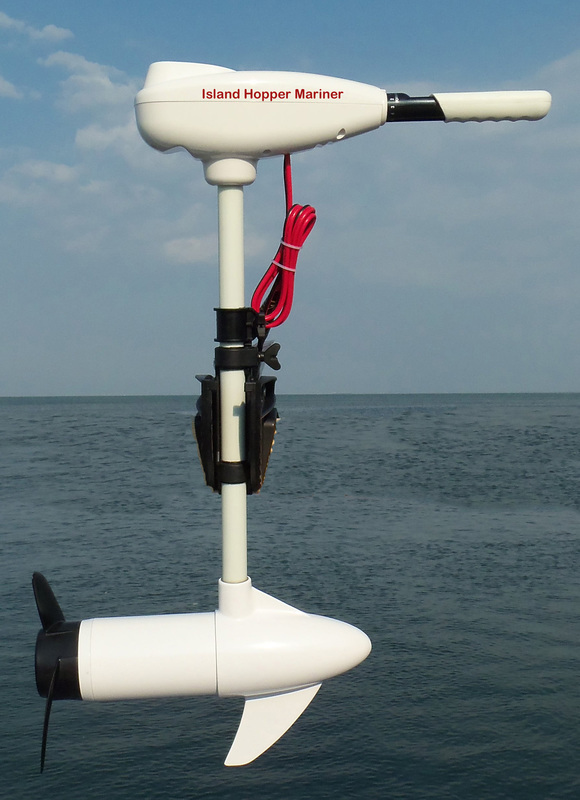 Allows anglers to add a small motor (sold separately) to get between fishing spots faster. Made of saltwater corrosion proof materials. 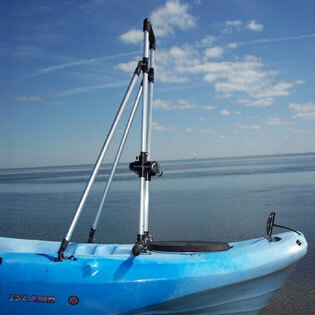 ​ Turn your kayak into a motorized fishing vessel.